Progressive Ultimate 19 Pc Measuring Cup & Spoon Set Just $11.99! You are here: Home / Great Deals / Amazon Deals / Progressive Ultimate 19 Pc Measuring Cup & Spoon Set Just $11.99! 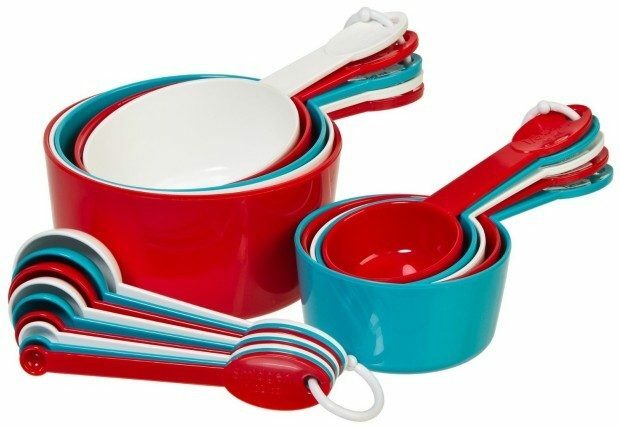 This measuring set is really nice because it has some in-between sizes you don’t normally get, but could really use! Head over to Amazon and get the Progressive Ultimate 19 Pc Measuring Cup & Spoon Set Just $11.99! Shipping will be FREE with Amazon Prime or an order of $35 or more.